it's CRRRRAP! Thank you Mike Meyers for pointing out the obvious. 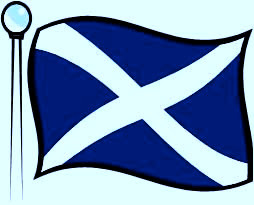 I claim a proud Scottish and Danish heritage which also helps explain why I am cheap and mean. 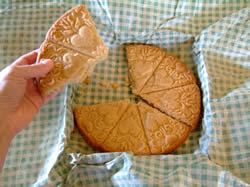 But this time of year is Scottish shortbread weather, and I have just proudly stuck my first offering of the season out in the garage to cool. It is a ridiculously easy recipe, and I haven't met the person yet who didn't love it. One ingrate once said, "It's like a large Lorna Doone!" No, it's not. It's Scottish and therefore may not be compared to anything you fool! My Great-Gramma, made it -(presumably having watched her mom make it - and she came straight from Scotland), my Grandma Grace made it, my mom made it, and now I make it. I can't say that there are too many holiday food traditions in my family, but this is definitely one of them. One day, I might let Abigail learn how to make it. My mom says, "Isn't the dough good!" and it is. It makes it hard to resist taking a little pinch off here, and a little pinch off there, and ultimately having enough to justify baking up into nice huge shortbread rounds. In her youth, my mom once ate a whole shortbread cake round that had been chilling, pinch by pinch. 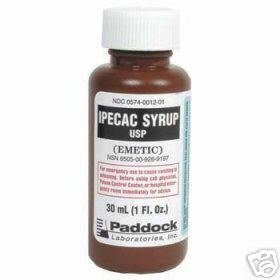 Then she thought she'd remedy the calorie intake by taking some syrup of ipecac. I believe she said that it took a few hours for the ipecac to kick in, but then she barfed until she was 'bout blue in the face and had a headache that lasted for two days. She agreed that she should have just gone on a very very very long walk instead. 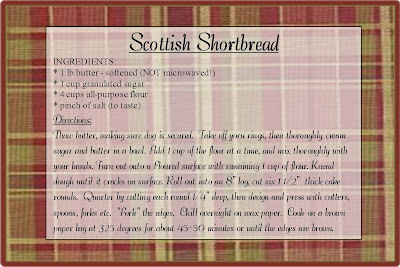 If you would like to try some of this divine-ness, here is the recipe. It's great to let the kids decorate the tops, and will keep everyone busy on a cold winters eve. And if there is anything missing from my garage, I'll know it was someone who visits here! LOLOLOL!!! "cheap and mean". That is so awesome. It also explains why we love plaid and viking helmets. You totally forgot to say it is freaking awesome with wassail. DEEELISH!